The Rebirth of the Violin in Jazz: Majid Khaliq's "Basilisk"
Recorded at Park West Studios, Brooklyn, NY. Starting formal lessons at age five, violinist Majid Khaliq has been a serious student of his instrument. 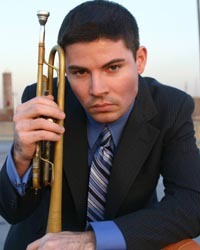 With his father’s Ray Nance recordings as early influences, the young player finished Julliard in 2002. During that period he spent some serious time honing his skills in and around New York. 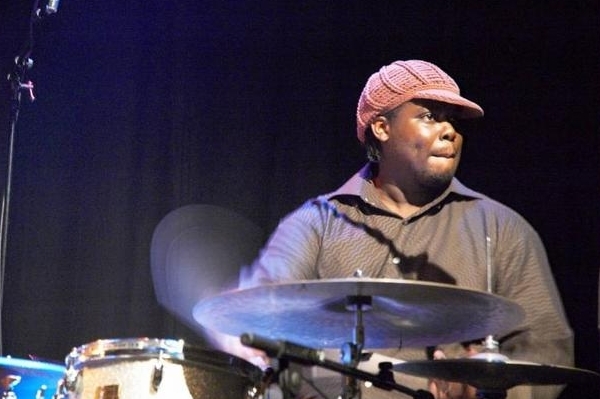 He continued his advanced musical education and in 2010 completed his master’s in jazz performance at the Aaron Copland School of Music at New York’s Queen’s College. He is presently a member of the faculty of the Waldorf School of Garden City. Mr. Khaliq possesses a rare sound on his instrument that bridges tradition while probing past fusion into new territory for the instrument. 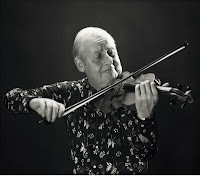 He is a hybrid between the traditionalists like the aforementioned Nance, Joe Venuti, Stephane Grappelli and Stuff Smith. Pioneers who could make their instruments swing or make them sigh with exquisite emotional pathos. Despite being too young to be directly affected by fusion, he has absorbed influences of fusion pioneers like Jean-Luc Ponty, Michal Urbaniak and Jerry Goodman as well as his mentor John Blake Jr. If that wasn’t enough of a wellspring to tap into, he has also been affected by the Hip-Hop influences of his own generation. 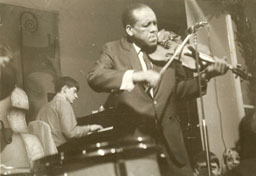 The result is a completely unique amalgam of truly modern jazz violin. The title track “Basilik” comes from Majid’s love of Chinese astrology, where his sign is the snake. “Basilik” is the king of the snakes in Medieval European folklore. With an infectious urban back beat played by the dynamic Johnathan Blake on drums, the song snakes through its twists and turns, with Khaliq at times seemingly mimicing the scratching sound of a hip-hop turntable artist with his unique bowing techniques. Charles Porter’s crisp trumpet lines are a welcome sound. His intuitive interplay with Khaliq’s violin on their synchronous duets is wonderfully complimentary on the title track as well as on the driving “Expectation”. Eric Lewis’s energetic piano solo on the aforementioned song bobs and weaves along. Blake’s drum solo is at times militaristic and at times bombastic. Khaliq’s violin is never predictable with its off-kilter sound always sending you in unexpected directions. The waltz-like “O Hime” is a fetching composition that borrows elements of the classical style. Khaliq, Porter and pianist Jeb Patton together weave their sounds into a delicate tapestry of gossamer elegance. 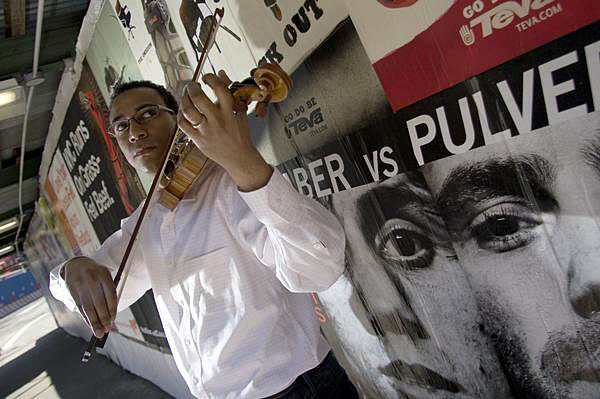 The young violinist has the ability to make his instrument sing with voice-like earnestness. Patton’s solo is itself expressionistic and heartfelt. “Mansa Khan Musa” again finds Porter on the front line with Khaliq, this time with muted bell. The two have a rare affinity for playing together. Khaliq’a lines are always interesting, interspersing different stylistic choices by changing bowing techniques and string attacks in most unusual ways. “Inner Glimpse” is a McCoy Tyner up-tempo composition that really cooks. Patton plays with particular inspiration as bassist Ivan Taylor and drummer Blake keep the drive pumping. Khaliq shows off a bit of his fusion chops here and Porter and Blake both put in nice solo efforts. “Spirals” is another Khaliq original that in an interview he called “…a post-apocalyptic view of modern jazz, which circles deep into the depths of despair.” The tune vacillates between an ominous cacophony and a Stuff Smith inspired blues swing, where all front line members get a chance to let out their stuff 9 no pun intended). The guitarist Andrea Vocatura contributes a nice solo. “The Truth” is an original composition from trumpeter Charles Porter. Khaliq demonstrates his ability to elicit great emotional depth from this soulful song. 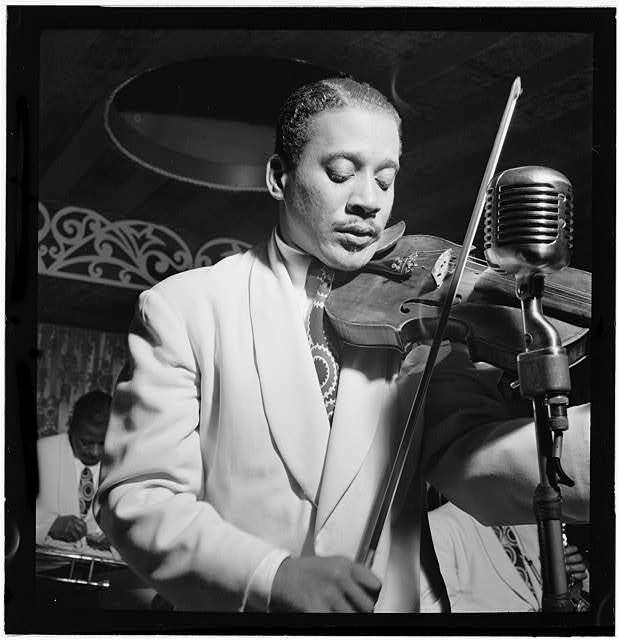 The finale is the Burke/Van Husen standard “Polka Dots and Moonbeams” which Khaliq plays with a true gypsy heart, doubling on his strings to great effect. 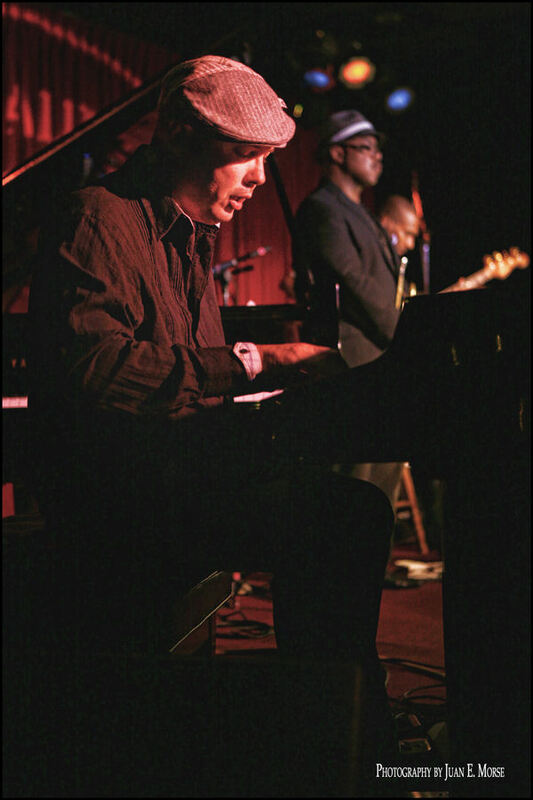 Pianist Patton plays a beautiful solo of his own that is at first delicately wandering and then jaggedly purposeful. Khaliq ends in a magnificent embellishment that is Grappelli-like in all its grandeur. Very nice indeed! Musicians: Majid Khaliq (violin); Charles Porter (trumpet), Jeb Patton (piano) tracks 3,5-8; Eric Lewis (piano) racks 1, 2 & 4; Ivan Taylor (bass);Johnathan Blake (drums); Andrea Vocatura (guitar) track 6 & 7 (not listed on album) . This past Saturday, I ventured into New York City to see an exhibit dedicated to master craftsmen who elevated their craft to true art. The Metroplotian Museum of Art on Fifth and 82nd is an iconic building. With its grandiose entrance, its stately stairs and its monumental granite facade, the Met lends instant respectability to anyone who is so fortunate as to have there work exhibited there. Originally hailing from towns whose names are virtually synonymous with instrument making like, Cremora, Venice, Naples and Padua, these artisans had their trade sustained by the early craze for mandolins in the New World. 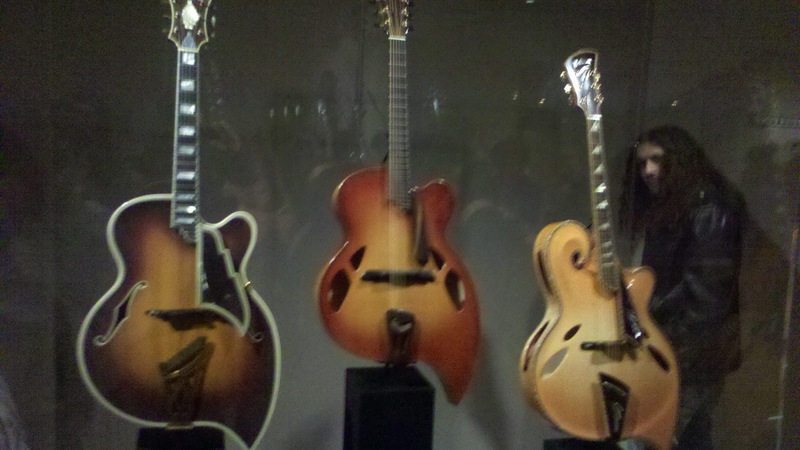 By the 1920's the luthiers found themselves facing a shrinking demand for mandolins. 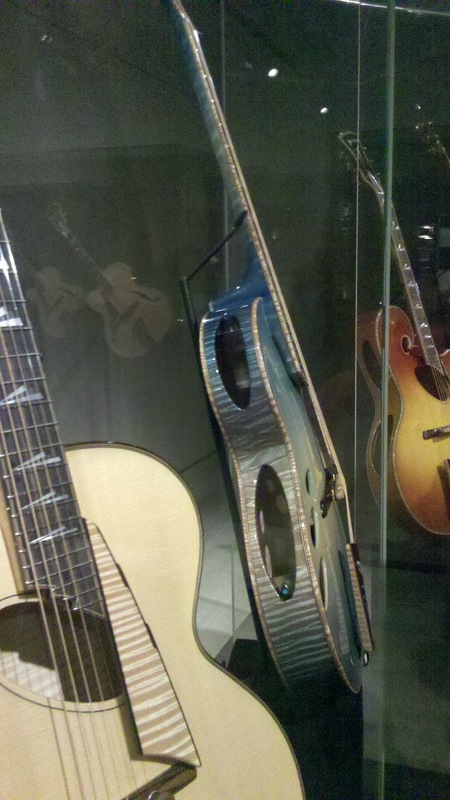 Many turned to violin and eventually arch-top guitar construction to support their shops. One of those who was able to make the transition successfully was the New York City based luthier John D'Angelico. 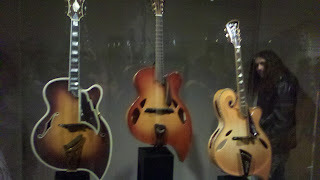 From his shop on Kenmare Street in lower Manhattan, D'Angelico started to produce his own arch-top guitars based on the the popular Gibson L-5 (made by the Gibson Guitar Co in Kalamazoo Michigan). The arch-top guitar featured violin-like construction with F holes in the top, a slightly convex top and back and a floating bridge. The design was popular as a rhythm guitar because it projected chords so well and was used in the popular big bands of the time. D'Angelico's attention to detail was his signature. Hand crafting each guitar, often times customizing details to his customers specifications, he innovated on his guitar making process. He incorporated an Art Deco design into his guitars, producing not only a fine playing but a beautiful looking instrument. 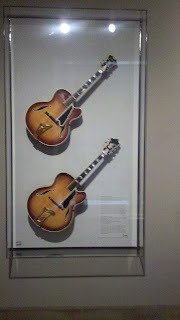 D'Angelico's apprentice was the young James D'Aquisto, who after studying with his mentor, himself became a master luthier, carrying on the tradition and expanding it in his own artistic way. His signature pieces are hallmarked by his insistence on using only natural and sometimes exotic materials on his guitars, along with his own innovative designs. One of the highlights of the exhibit is a continuously running film from 1985 by Fredrick Cohen titled "The New Yorker Special: Handcrafting a Guitar." It documents luthier Jimmy D'Aquisto hard at work in his shop, demonstrating the many steps it takes to build one of his fine guitars. 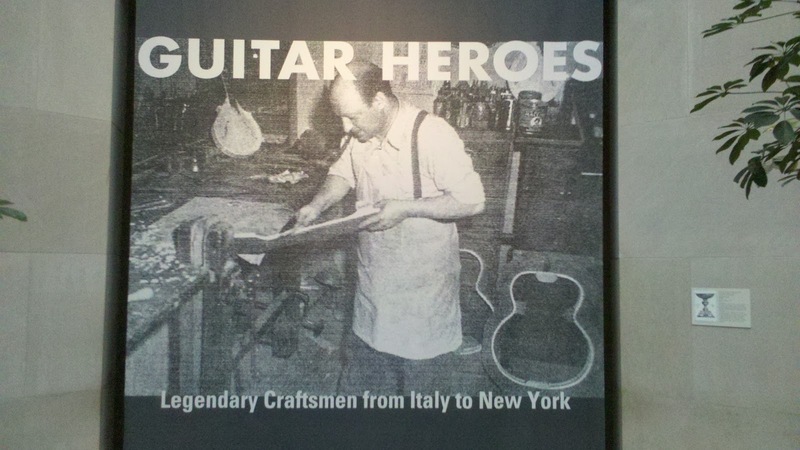 Present day master luthier John Monteleone is the last of the three guitar heroes featured at this exhibit. His detailed work incorporating innovative designs and concepts are on ample display. His beautifully conceived and finely executed masterpieces have all become highly coveted collector pieces and take the art of the luthier to new heights. 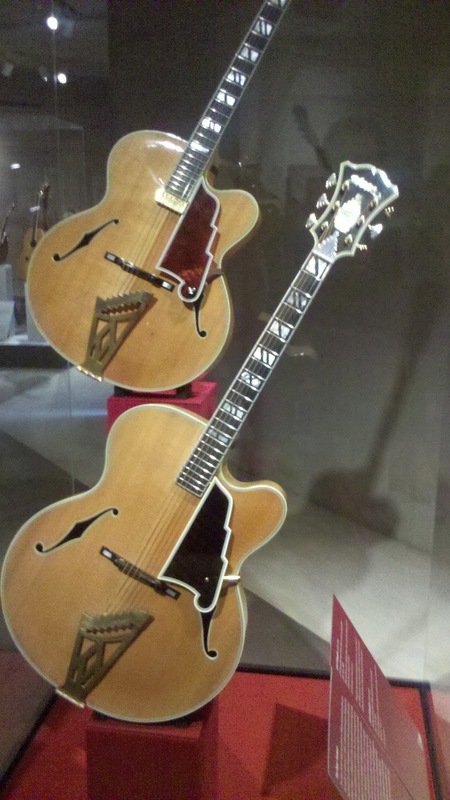 One of his innovations was the introduction of adjustable side openings in the body of the guitar, allowing the guitarist to hear the sound his is projecting to his audience. For any part-time guitarist or accomplished professional musician this show is a joy. For those who simply love beautiful things, made beautifully this show has its own special appeal. The next performer, one of my favorite guitarists and the performer I was most anxious to see, was the unassuming but superb Jim Hall. 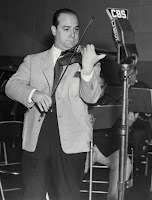 Hall is now eighty years old and his appearance was a stark contrast to that of the elder but sprightlier Pizzarelli. The stooped Hall came on stage with the aid of a cane,and was accompanied by the fine bassist Steve LaSpina. Hall's masterful work has graced the albums of giants like Hampton Hawes, Sonny Rollins, Bill Evans and Paul Desmond to name just a few. His subtlety and harmonic language has set the standard for many guitarist who have been influenced by his amazing body of work. 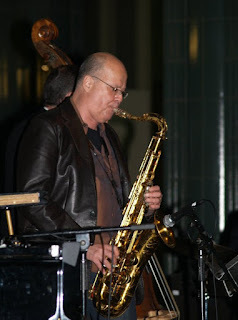 Modern day masters like Bill Frisell and Pat Metheny cite him as a major influence. 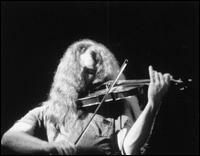 Despite his frail appearance his playing is undiminished, the essence of unassuming excellence. Mr. Hall spoke in a quiet voice without the aid of the microphone and his guitar was poorly miked, so unfortunately there was some distinct fall off in the quality of sound during his performance. Jim was playing a D'Aquisto guitar that was made for him by the famous luthier. Mr. Hall admitted that he has not played it much since it became such a rare collector's item after the master craftsman's death. What we could hear was classic Jim Hall on his unusual take of the standard "All the Things You Are", his tasteful subtlety on the beautiful bossa"Beija Flor" and a 16 bar blues tune he called "Careful". Mr. LaSpina, who complimented the guitarist perfectly, was featured on "Beija Flor". Check out the Jim Hall trio with Mr. LaSpina on bass and Joey Baron on drums on this video I found and I'll let the playing speak for itself. "Lotus Blossom" , "Lap Piano" from the guitar virtuoso George Van Eps and Django Reinhardt's "Tears". For those who have not seen Mr. Alden before he is an impressive artist. The finale of the event was guitarist Steve Miller and his band, playing his own custom made solid bodied James D'Aqiuisto guitar with Howard Alden sitting in. Mr. Miller related his own special story about his one time friend Mr. D'Aquisto and spoke of his own personal guitar collection of over 400 guitars. He played a repertoire that was slightly jazz based. He covered a T. Bone Walker tune "Tell Me What's The Reason You Keep On". He offered a clever amalgam of Ma Rainey's "See See Rider Blues" sung to the music of Miles Davis's "All Blues" and sang an evocative version of "Nature Boy", where Mr. Miller demonstrated that he could still can hold a tune with the best of them. 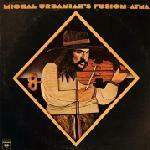 On the cool bossa "Lazy Afternoon" his voice took on a Michael Franks kind of removed cool sound to it. He ended the evening with his signature song the uplifting "Fly Like an Eagle". The Met should be applauded for presenting such a well conceived and beautifully executed evening of music and a fabulous exhibit of craftsmanship that aspires to and achieves high art.. The exhibit runs from February 9 - July 4, 2011. My advise, don't miss it. Donny McCaslin, David Binney and Seamus Blake, to name just a few of the happening cats on this horn. 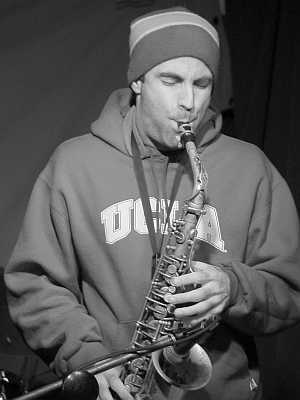 While all definitely accomplished and unique in their approach to their instruments be it alto or tenor, they all have a sound that seems to have absorbed the feel of working in and living around New York. While I am not trying to pigeonhole any of their fine artistic work , there is at times a certain frenetic quality to their music that I believe is partially a result of the influence that the, kinetic hustle and bustle of New York has on their psyche. Bob Sheppard have all been excellent musical offerings that somehow seem to take on a distinctively LA , almost cinematic, more restrained cool sort of sound. I suppose we are ultimately a product of our environment. “Close Your Eyes” we get to hear this mutli-instrumentalist playing some of his own music. 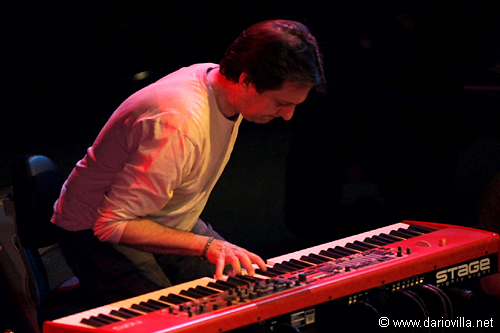 From the opening and title tune “Close Your Eyes” we get an ostinato introduction on the B3 Hammond from Alan Pasqua. Sheppard states the melody on tenor in a definitive but sultry way, with his rich, lingering tone, as Pasqua and drummer Antonio Sanchez push through the changes. Shepp is carefully economical with his notes leaving enough space in between to punctuate his statements. On the jagged intro to the Sheppard original “Surface Tension”, guitarist Larry Koonse trades line for line with Shepp's tenor in a taut display of precision. Sheppard’s lines here are a rare amalgam of blues and cool. He is completely controlled and spare, but always on target. Sanchez is stealthily present throughout the piece, but knows how to tailor his drums to the mood as he does in the closing last few measures. The aching Gordon Jenkins ballad "Goodbye”, has Sheppard doubling on sultry saxophone and overdubbed on alto flute. This song has that cinematic quality that seems characteristic of much west coast based jazz, as you can almost visualize a poignant scene of heartbreaking goodbyes. Sheppard is a master of mood creation with his ability to play his armory of instruments so well . John Beasley’s lush piano accompaniment and Walter Rodriguez’s percussive accents just compliment the picture. Another Sheppard original ,“Brain Fog”, matches Bob’s tenor on the front line with the trumpet of Alex Sipiagen while Alan Pasqua’s plays the repeating theme. Sipiagen and Sheppard wind their way through the changes in unison, with the trumpeter alternating between open bell and Harmon mute. 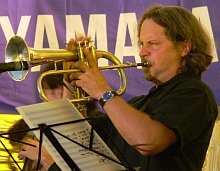 When Spigagen solos he is melodic and economical, sticking mostly to the lower registers of his horn. Sheppard starts off slowly, almost cherry picking his notes in a hop scotch progression before he allows himself to let loose. a bit. His playing can at times seem almost too cool. I sometimes wish he would permit himself to make a scene,to blow off unrestrained. to see where it leads him, but his impeccable taste and studio-honed efficiency is both an asset and perhaps a bit of a restraint. On “Fast Company” Sheppard picks up the soprano saxophone and suddenly he transforms his playing from controlled cool to playfully free flowing, accentuated by his overdubbing with flute and piccolo. 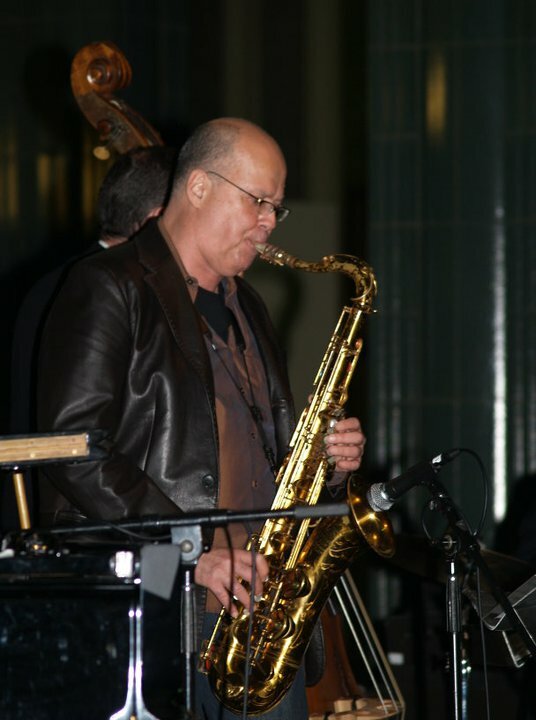 John Beasley’s piano is creative and exploratory while seemingly prodding Sheppard to let fly. When Beasley solos, he Sanchez and Bassist Noel actually get into a short groove that is quite invigorating. Kenny Barron’s “Phantoms” is another one of those cinematic pieces. Sheppard’s deep-throated tenor is perfect for the sentiment of this composition. Listen to the inspired playing between Gabe Noel’s bass lines and Sheppard’s Bass Clarinet, overdubbed on top of his tenor which is out front. 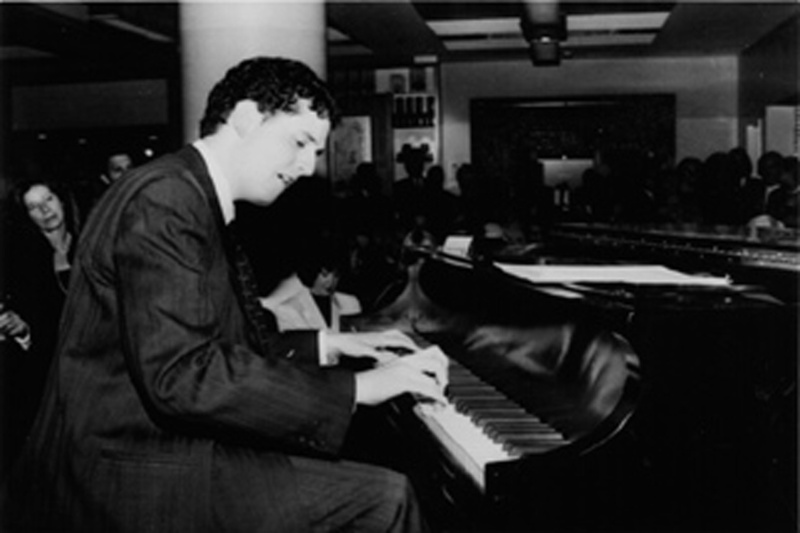 Pasqua’s piano solo is particularly sensitive with an oblique approach that is unusual. Sheppard’s tenor takes on a distinctive Joe Henderson-like sound here with subtle implications that are felt more than played. My favorite cut on the cd is ”Lightness” with its repeating descending line stated by Pasqua’s piano and some wonderful brushwork by Sanchez. Pasqua’s feathery touch is delicate and airy. Sheppard’s subdued sound is breathy, taking on the whispery sound of a caressingly gentle breeze. Sipiagen’s trumpet and Koonse’s guitar return on Joe Henderson’s “Gazelle” where they dance excitedly around the beat and where Sheppard plays some his more adventurous solos. The final cut on the album is the slightly ponderous Jeff Collela’s “All in A Row” with Noel’s walking bass line and Pasqua’s fluttering piano solo. Bob Shepard (tenor & soprano saxophone, flute alto flute piccolo, clarinet , bass clarinet); Alan Pasqua (Piano & Hammond B3 Organ) tracks 1/4/6/7/9); John Beasley (Piano & Hammond B3 Organ tracks 3/5/8 ; Antonio Sanchez ( drums) ; Gabe Noel (Acoustic & Electric Bass); Larry Koonse ( guitar) tracks 2/8; Alex Sipiagen (trumpet & flugelhorn) tracks 4/8. to work in a more electric format. 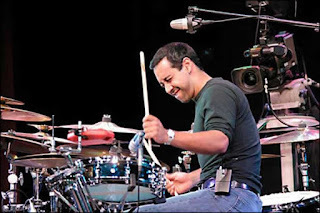 Antonio Sanchez, “Five Hands Down” sets the tone for what is to follow. 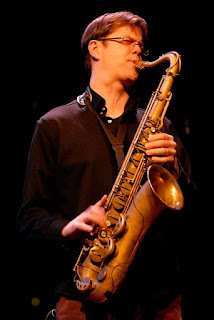 McCaslin’s angular attack is filled with aggression and frenzy, as he pierces the high register of his horn or stabs with punctuated notes in conversation with Sanchez. On the title track, “Perpetual Motion”, McCaslin circuitously plays in concert with the Fender Rhodes and acoustic piano sounds of Adam Benjamin before he states the fragment of a melody that catches your attention, an ever escalating cry of exclamation. Tim LeFebvre’s bass and Sanchez’s drums follow McCaslin’s explorational solo, a cascade of notes, a plethora of changing tones, with multiple variations of attack and timbers. A demonstration of free and inspired playing. Benjamin takes an airy solo that makes perfect use of the Fender Rhode’s s late seventies fusion sound. When McCaslin returns to his barest of melody lines, in the last quarter of the song, he whips it into a frenzy of poignancy. The composition “Claire” finds McCaslin honking away in a staccato exchange with Sanchez. It is these dueling masters that make for some of the most memorable moments on the album. Sanchez seems to be everyone’s drummer of choice these days and it is easy to see why, as he is a master of percussive communication with seemingly inexhautible vitality. McCaslin, for his part, alternates between high screeches to mellow, low register sustained notes. Benjamin is again effective in utilizing the unique sound quality and feel of the Fender Rhodes. As Sanchez and Lefebvre dance in the background, Benjamin takes us on an astral adventure that is delightfully buoyant. Much of McCaslin’s music uses the barest armature of a structure, be it melodic or rhythmic, upon which to build his musical excursions. On “Firefly”, the use of electronic sounds, presumably by Binney and Benjamin over Sanchez’s cymbals, set the background for McCaslin’s saxophone wandering. He flutters through the electronic haze like a firefly through a fog before reaching for daylight and clarity towards the end of the piece. “Energy Generation” has a backbeat that that allows McCaslin to stretch out his more funky side, but even in this vein his playing has a sense of urgency and a lack of cliché. With Sanchez and Lefebvre driving the beat you can’t help but feel the groove. The second part of this album takes a sharp turn into funky town and seems a bit disconnected to the first part. On “Memphis Redux”, the energy level is palpably turned down a notch to simmer like a slow cooking gumbo. McCaslin’s soulful side is on display here and he has some fine moments of raw, gutsy playing. Benjamin’s solo on piano is peppered by electronic sounds from Binney, making this music sound less dated. On “L.Z.C.M.” the sound is an electronic funk with a driving beat by Guiliana and Benjamin on Rhodes. Despite the plethora of electronic sounds and McCaslin’s clarion saxophone work, there is less excitement and less continuity to my ear. “East Bay Grit” is thirty seconds of fading into a groove. “Impossible Machine” has a quick paced, complex line that features a splendid duet with Binney on alto and McCaslin on tenor pacing each other in precise synchronicity. 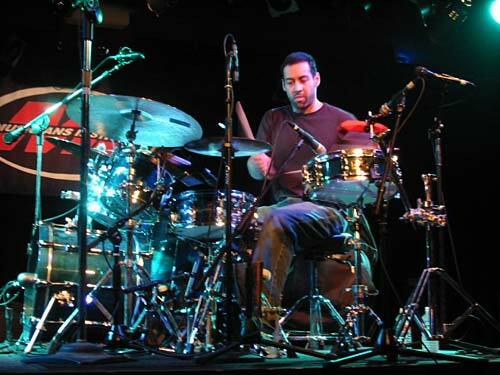 This is drummer Mark Guiliana’s best work of his four cuts on the album. McCaslin and Binney play extremely well together and the ending is tart, crisp and surgical. Uri Caine’s solo piano on the finale “For Someone” is a pretty ballad but somewhat detached from the rest of the album and in my mind a strange way to end what is on balance, such a high energy outing. Musicians: Donny McCaslin (tenor saxophone); Adam Bejamin (Fender Rhodes & Piano)tracks 1-7 &9 ; Tim LeFebvre ( electric bass) ; Antonio Sanchez ( drums tracks 1-5) ; Mark Guiliana ( drums) tracks 6-9; Uri Cane (piano) tracks 4 & 10 (Fender Rhodes & piano) track 8; David Binney (alto saxophone ) track 9 (electronics ) multiple tracks.